Our range of products include double head wire sheet rolling mill, single head sheet rolling mill, single head heavy duty sheet rolling mill and double head wire rolling mill. We have in stock for our international customers a wide range of Double Head Wire Sheet Rolling Mill. All our products are designed and manufactured using quality components that are sourced from the authorized vendors of the market. Furthermore, we provide timely delivery of these mills at clients’ end within the committed time frame. We are committed to offer our clients a wide collection of Single Head Sheet Rolling Mill. All the products are designed in compliance with international quality standards, making use of high-grade components and spare parts that are sourced from the certified vendors of the market. Moreover, these products are used for pressing the alloy steel and shaping it into strip, coils and sheet form. 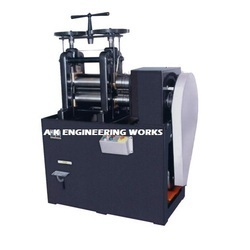 With the help of our distinguished professionals, we have been able to bring forth Single Head Heavy Duty Sheet Rolling Mill. 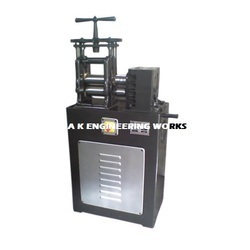 The offered products are used for pressing the alloy steel and shaping it into strip, coils and sheet form. 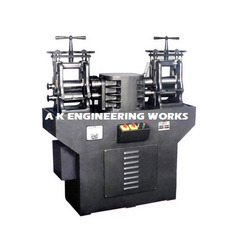 To meet diverse requirements of clients, we offer these mills in various configurations at industry leading rates. With thorough industry knowledge, we are engaged in manufacturing and supplying a wide range of Double Head Wire Rolling Mill. While manufacturing these machines, our experts do not compromise with quality and make sure that high-quality material is used. Our range helps in compressing and changing the shape of metal. 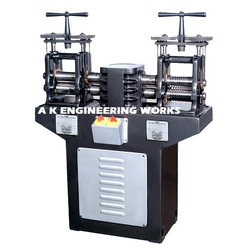 Looking for Rolling Mills ?